Where is the English forum? The forum seems to be for the most part in Deutsch? Generally this is an amazing board with countless possibilities. But unfortunately I also have the Problem that the SPI Pins are occupied by the ESP Chip. Is there a possibility of Hardware modification? I need MISO and MOSI for RFM12b communication with the jeelib library. Unfortunately jeelib is not that flexible in changing theses lines. Why on earth did you guys chose to use the SPI pins to comunicate to the ESP chip? You could have used two analog pins. How can we use and SD card with this thing? Hope you fix it in a REV 2 board. 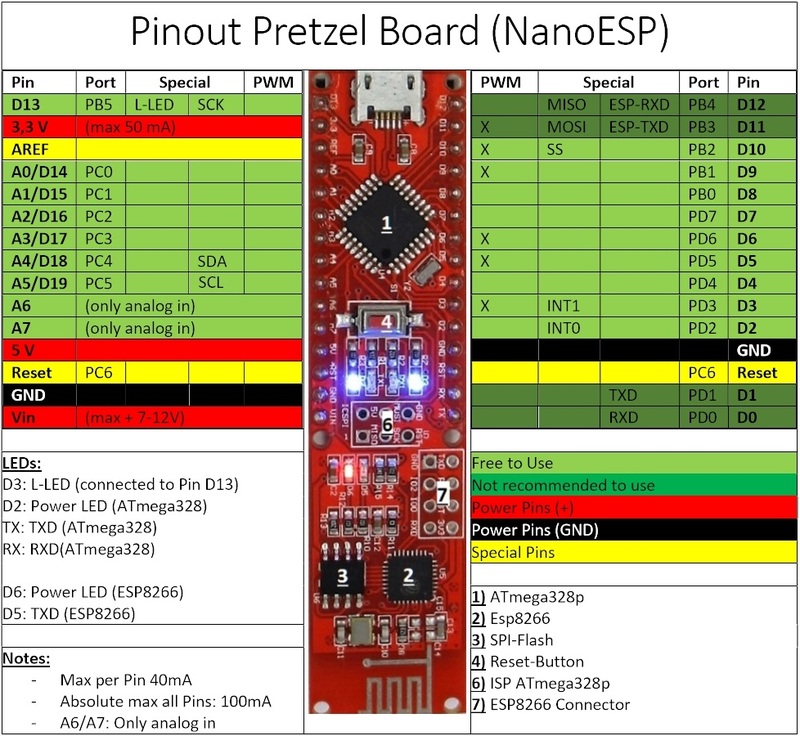 Hallo, im Pinout ist die Beschreibung der I2C Pins vertauscht. 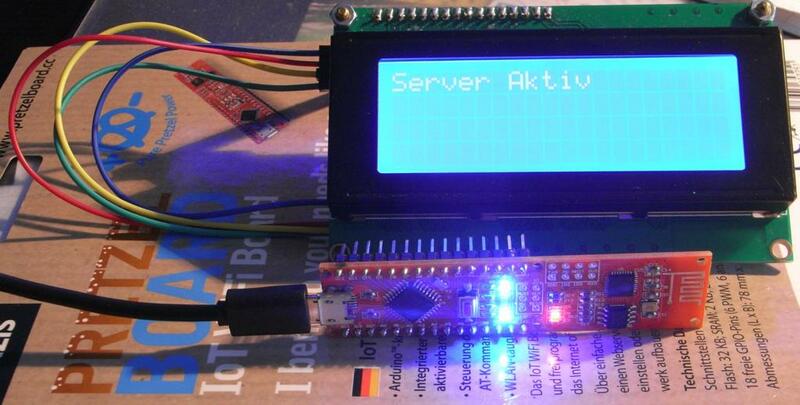 PinA4 = SDA und Pin A5 = SCL und dann klappt es auch problemlos mit einem I2C Display (bei mir zB. 4×20 Zeichen). Danke für den Hinweis. Ich habe die Dateien angepasst. Herzlichen Daank für dieses sehr hilfreiche PDF!